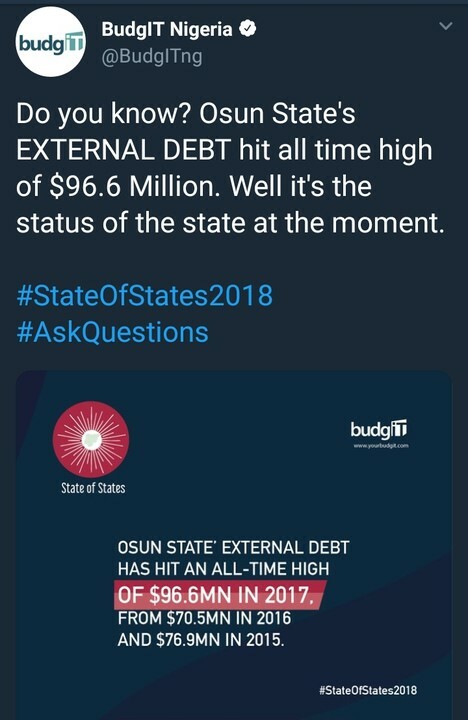 BudgIT Nigeria reveal via their twitter account that Osun State’s EXTERNAL DEBT hit all time high of $96.6 Million. Do you know? 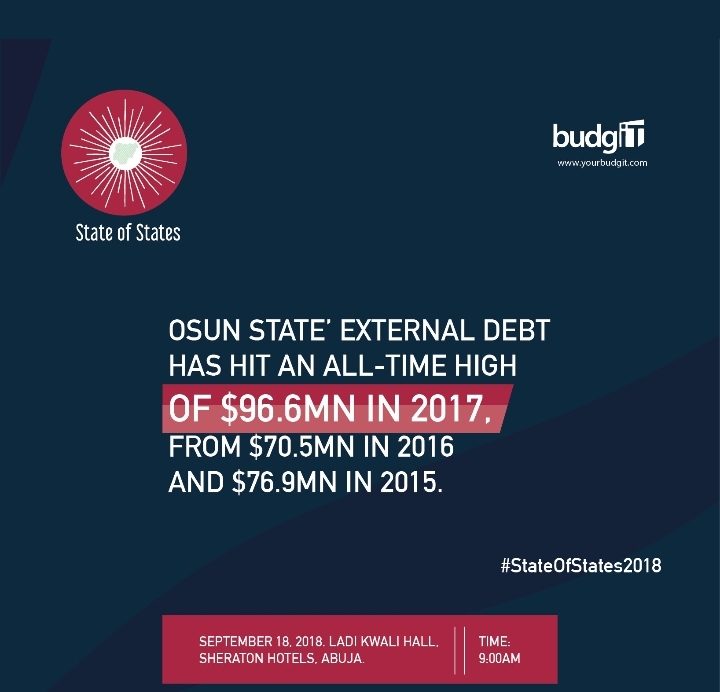 Osun State’s EXTERNAL DEBT hit all time high of $96.6 Million. Well it’s the status of the state at the moment.